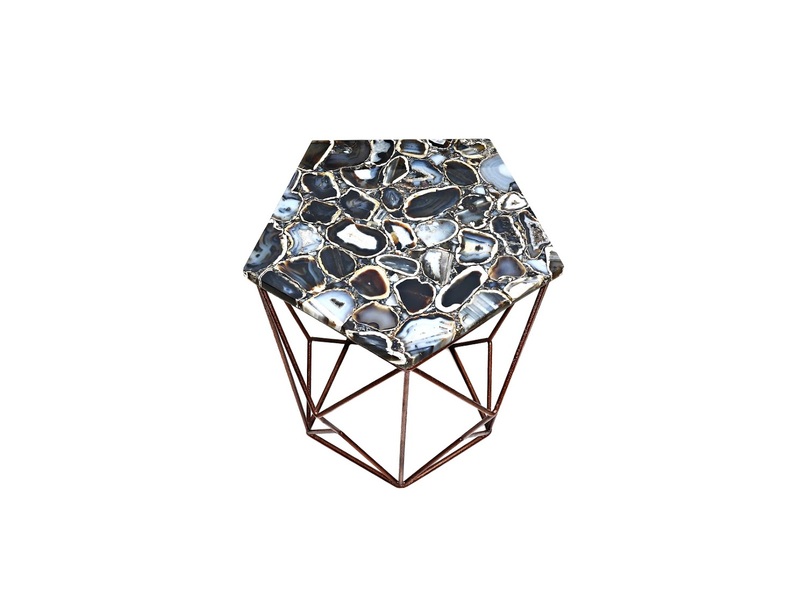 Description: Top is a unique black natural agate stone.This table makes a perfect ambiance of soothing luxury for those long gossips over coffee with friends. 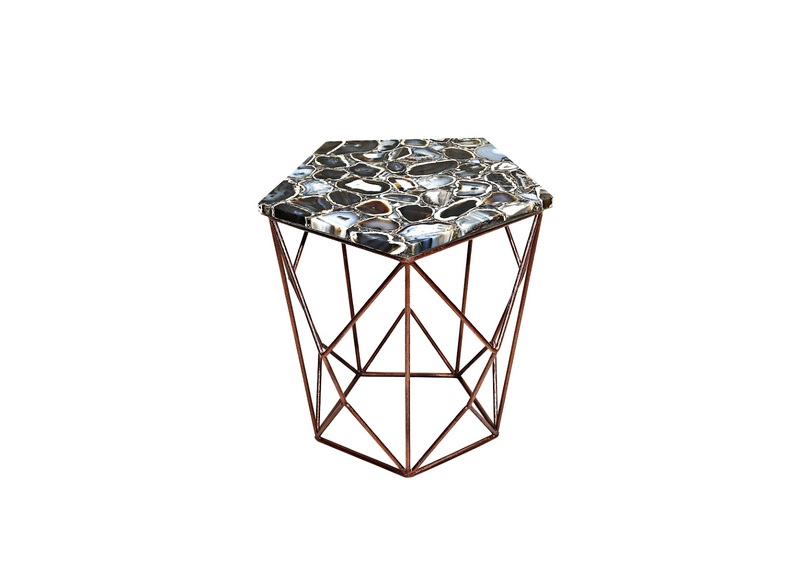 Add opulence to an ordinary bedroom with this agate end table. This table adds visual space to a small room or any living space.